Braces Rubber bands: how long should you wear them? There are certain people that want to know about the braces rubber bands. In recent times, a number of doctors are using the rubber bands along with braces in order to help in the better treatment of their patient. The reason doctors use rubber bands is that they are highly helpful in the straightening of teeth. The bands have the power of elasticity. They work with your braces and speeds up the process of the correction of tooth directions. Mostly, people question their dentists that why rubber bands are used with the braces and what affect do rubber bands have on their treatment. Well, this article is an answer to the people who ask such questions. The reason it is used along with the treatments in the orthodontic department is that they help in increasing the amount of pressure. When you go with regular braces, you will see that it takes a lot of time, and the tooth gets into the right position slowly and steadily. However, by the use of these bands, there is more pressure that one can put on the teeth, and you will get the tooth back to its normal position in less time. Moreover, these bands also help in the correction of problems such as overbites and underbites. 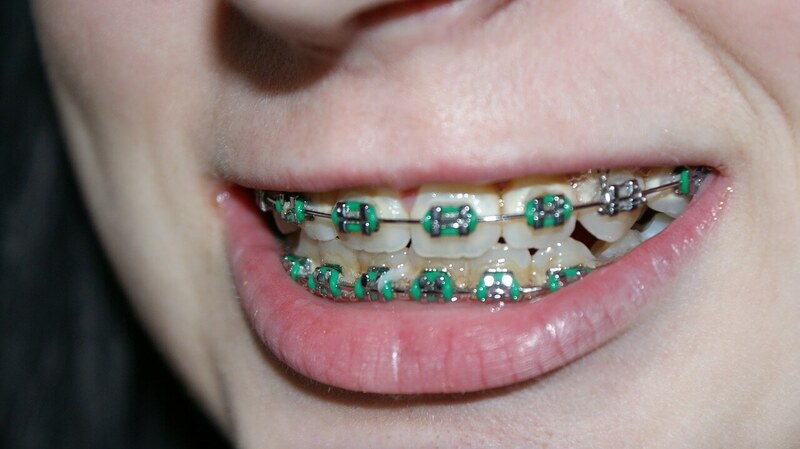 There are certain issues that a patient may face when he or she has rubber band braces. ✚ The first issue that comes is that a patient can only eat selective food items. Particularly the food that is solid should not be consumed during the treatment. ✚ Patients may opt to wear them only at night time, or they may like to take braces off while they are about to eat. This process will take a lot of time. ✚ In certain cases, it is also seen that the rubber band snaps due to the fact that jaw was widely opened. ✚ Moreover, they may rub along your cheeks that can cause irritation. If the rubber bands are not used correctly, the patients are likely to suffer from jaw pain. But it can be reduced or eliminated if your dentist sets it right. Though the patients benefit highly from wearing these rubber bands, it is always good to put an eye on the negative side as well. There are certain steps that you may take to reduce the problems that you may suffer from using rubber bands. Moreover, some doctors also give the anti-inflammatory or pain-reducing medicines. Another problem that can arise for people that are using braces rubber bands is with the gum line. You must watch out for that issue, and if you get any problem, you should not waste any time in contacting the dentist. The above is some information in concern with rubber band braces, why rubber bands are used and what effect do rubber bands have in the dental treatment. Always consult your dentist for a better overview of the things. Bands: The elastics are not likely the most imperative part in the determination of your covering overbite. Opening a complete overbite is very variable in trouble, necessities for things added to braces, and time. Approach your the orthodontic expert for a time calculation and what will be required to settle the issue.